AEE Sparrow - Is AEE's First Selfie Drone Any Good? 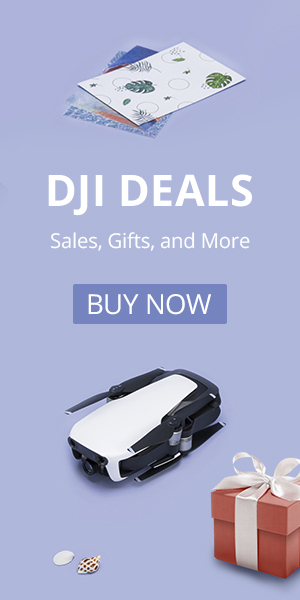 AEE Sparrow – Is AEE’s First Selfie Drone Any Good? AEE put on quite a spread at the Consumer Electronics Show (CES) 2017. I was very impressed with the quantity and apparent quality of their drone offerings. I found it curious that such a well-polished company was not selling outside of China. 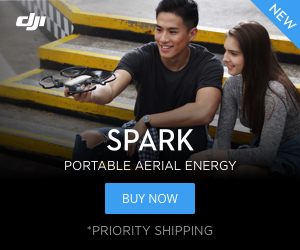 Almost a year and a half later you can finally buy the AEE Sparrow selfie drone from TomTop. Read on to see if this camera manufacturer takes flight or falls flat. SPOILER ALERT: The AEE Sparrow is probably not the right drone for you. Read on towards to bottom of this article to learn about the best alternatives. Let’s start with the good stuff about the Sparrow. We liked the camera quality and relatively wide field of view on the AEE selfie drone. It makes sense that AEE can make a decent camera since they are more known for their cameras than their drones. We thought that this drone would have image stabilization like the Yuneec Breeze, Ryze Tello, and Zerotech Dobby, but it certainly did not demonstrate that in testing. The Camera is pretty good on this selfie drone. It is tilted manually and has bright LEDs that can be turned off in the app. The box claims this drone takes 12 MP images, but in actuality, they are only 5 MP. This is not a deal breaker for us, we will get into the deal breakers in a moment. This selfie drone comes with IR obstacle avoidance on all four sides but not on the top or bottom. The bottom of the drone features an optical flow sensor but IR sensing is notably absent on the bottom. This is very strange since even drones that do not have any obstacle avoidance have bottom-facing sensors – drones like the Tello, Dobby, and Breeze. There is obstacle avoidance on all four sides of the Sparrow, but no IR sensors on the bottom, just a camera. In some indoor testing, we found that the obstacle avoidance does work. It is pretty short range, which is OK since this drone moves at a snail’s pace. The flying experience is where the AEE Sparrow falls to pieces. It didn’t literally fall to pieces, it is actually pretty durable, which I know because it is so hard to fly. This is what you get with the Sparrow. They advise you put the bumpers on the corners of the drone. Given the sheer quantity of issues with this drone, I feel a bullet list is most appropriate. Not Supported: Like the Dobby, this drone can’t be controlled with an iPhone 8. It does fly on an iPhone 6 (with some bogus battery level error messages) or seamlessly on a Samsung Galaxy S6. Will it work on your phone? Maybe, if you are lucky. Shaky Flight: I can’t remember any drone I’ve owned (and there have been hundreds) that had a case of the shakes like this one. Slow as a Pitch: Along with top prize for the shakiest flyer, we also give the Sparrow top marks for being the slowest drone we have ever flown. Want something slower? Try watching the 69-year pitch drop. Latency and More Latency: The camera feed on this thing has a ton of lag, worse than most and maybe enough to give it another gold medal. The video lag is nothing compared to how hard the drone is to fly. The controls on your phone are only loosely correlated with the behavior of the drone. It frequently does not respond to commands from the on-screen joysticks or it may respond too fast and for too long. Hide your kids, this thing goes rogue! Stability (Or Lack Thereof): The AEE Sparrow claims to have optical flow (it at least has a camera in the right spot) and it should have altitude hold. Unfortunately, both are really bad. Want best-in-class stability? You will want to try the Tello. Do you need more reasons not to buy the Sparrow? Probably not, but how about one more. The range of this selfie drone is only about 100 feet and the flight time is less than most toy drones. Now if AEE decides to update this drone with some better software it really could be a decent flyer. You need to take the bumpers off to get the Sparrow in its case. If selfie drones are your thing, then we recommend the Zerotech Dobby. Like the Sparrow, the Doby would not fly on our iPhone 8. Other than that, the Dobby is a great little selfie drone with image stabilization and a handful of flight modes. The Dobby is better in every way and right now it costs just a bit more than the AEE Sparrow. The Dobby also has a manually tilted camera. It is much more compact, especially when folded, and is much better all around. If you want something that is a little more capable but still under $200 then we recommend the Yuneec Breeze. Like the Dobby, its price has plummeted. It is now well worth the money if you don’t mind having a drone that doesn’t fit in your pocket. The AEE Sparrow doesn’t do well compared to the more capable Zerotech Dobby and Yuneec Breeze. The DJI Spark is more capable than all of the other drones we have mentioned, so if you have a little more cash it is a great value. It has a 2-axis mechanical gimbal, isolation-mounted camera, and 16 minutes of flight time. The price of the Spark has come way down and it is a killer deal. If you are pinching pennies then take a look at the Ryze Tello. It is the most stable indoor flier we have ever tested and it is much easier than the Sparrow to control with a smartphone. The AEE Sparrow is a bit larger than a DJI Spark and a lot larger than the Tello. If you are looking for something under $50 then check out the good-looking Spark clone the 19HW. It is a good little quad from TomTop that has some solid features. Order the 19HW from TomTop.